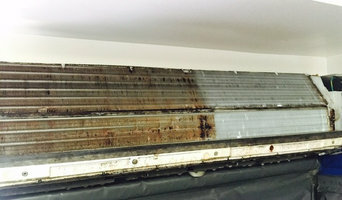 HydroKleen offers comprehensive air conditioner cleaning and sanitizing service. 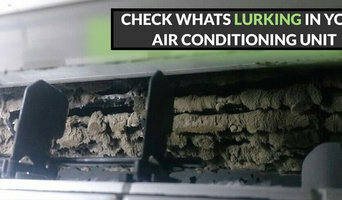 We clean all types of air conditioners of mould, funghi, bacteria and dust so your family can breathe healthy air. HydroKleen Australia is approved by the National Asthma Council Sensitive Choice Program. Clean air conditioner means increased air flow and efficiency, lower running costs, and quality indoor air. For all your Air-conditioning and Refrigeration needs, Uni Air is the one to call. Our fast and reliable tradesman will be able to help you with all you Air-conditioning and Refrigeration needs. We keep it everything COOL for you. Our business ethos is built around providing good service in order to secure future repeat business. Keeping your home at the perfect temperature all year round is easy—call A.S.A.P Air Conditioning & Electrical Services! Have an emergency? Our reliable Tweed Coast electricians offer a rapid response 24-hours a day, 7-days a week. Our general electrical services include lighting, phone and data cabling, renovation wiring and more. We also offer Tweed Coast solar panel installations to save you money on your power bill. To find out more about the services we offer, or request a quote, don’t hesitate to contact A.S.A.P Air Conditioning & Electrical Services today. We are fully insured and licensed to take on jobs in New South Wales and Queensland. COLDCOAST PTY LTD is a locally owned Air Conditioning business. With more than 15 year’s experience in domestic installations, light commercial installations and servicing, we are able to provide you with complete cooling and heating solutions. Our friendly and professional staff deliver immaculate installations and are well equipped for all your installation needs. DEEP BLUE Air Conditioning Pty Ltd was co-founded by brothers Clint and Troy Jones. Clint has been involved in air conditioning for 15 years and Troys back ground is one of site management for over 17 years. This cross sectional experience has provided them with an opportunity to offer a service that will exceed expectation and make any Domestic or Commercial project run as smooth as possible. 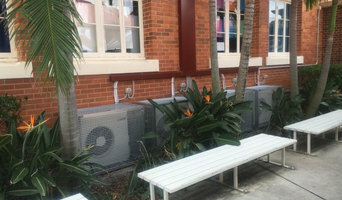 Established in 2000 Custom-Air Electrical & Air conditioning is a locally owned Gold Coast based company that provides services to Gold Coast, Brisbane and surrounding areas. We specialise in the design, sales, installation and service of domestic & light commercial air conditioning systems, using only the most trusted brands.We can arrange an obligation free quotation for existing homes and homes under construction, personalising an air conditioning system to your individual requirements. All our installations are carried out by our own fully qualified & licensed staff and not sub-contracted, ensuring a quality installation every time. For further comfort and peace of mind, we service all work that we have installed and are warranty service agents for Fujitsu. 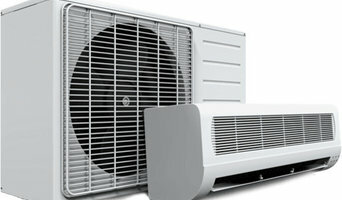 We sell all major brands of air conditioners and are a Fujitsu Premium Dealer. All Hours Air is a family-owned company servicing Brisbane and surrounds. We provide air conditioning solutions for residential and commercial clients, at very competitive prices. No job is too big or too small and we pride ourselves on our high quality work. At home, Australians use, on average, 40 per cent of energy on heating and cooling, so it’s wise to seek expert advice from a HVAC contractor in Gold Coast, Queensland on the most economical systems and models for your home. Your climate, the type of model you use and where you position it, for instance, will make a big different to your home’s comfort and how much energy you use. A HVAC contractor can also advise you on the best reverse cycle air conditioners, heat pumps, hydronic central heating and gas heating. Should you or anyone in your family suffer from allergies, they are also knowledgeable of the best anti-allergen filters and will be able to change your air conditioner’s filters, clean ducts or remove any debris around units. Other areas of expertise include refrigeration work, pool heating and dehumidification. Find heating and air conditioning contractors on Houzz. Look in the Professionals section of our website and search for Gold Coast, Queensland Heating and Air Conditioning contractors. Read reviews and see how a HVAC contractor might approach your Gold Coast, Queensland home’s heating and cooling challenges.